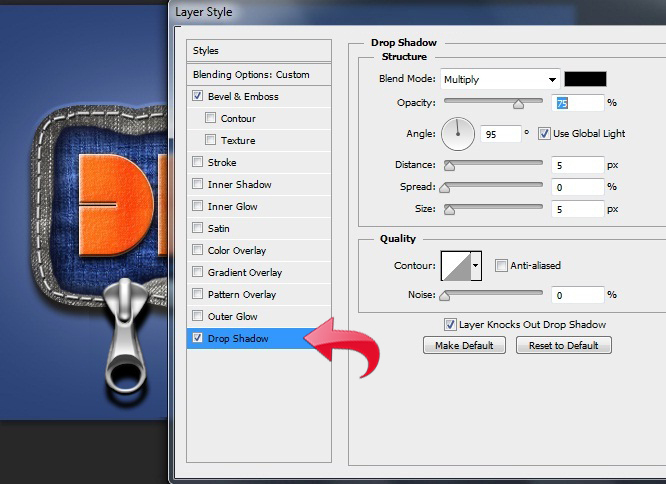 Photoshop offers endless design possibilities. You can transform anything into a beautiful art piece, especially when it comes to typography. 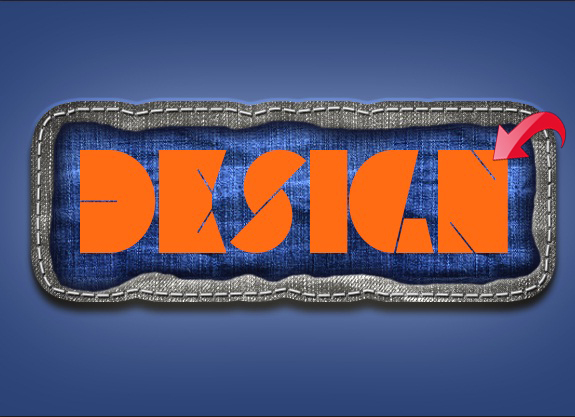 There are so many different typography styles and effects that you can employ in your projects. 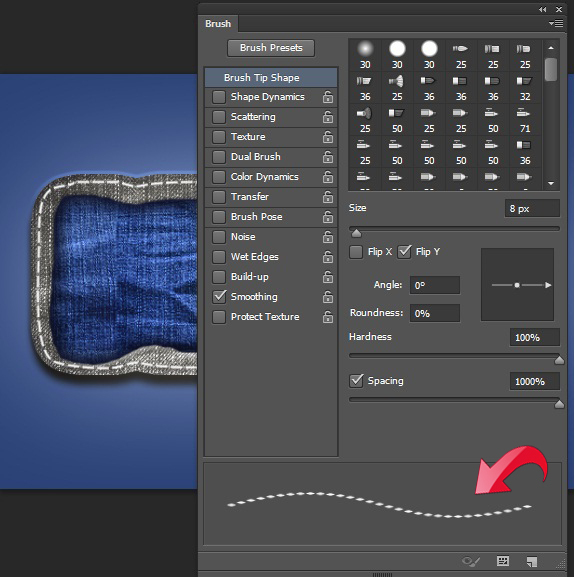 Working with specialized typography is not only a way to flex your creativity muscles, it’s also a way to hone your Photoshop speed and prowess. 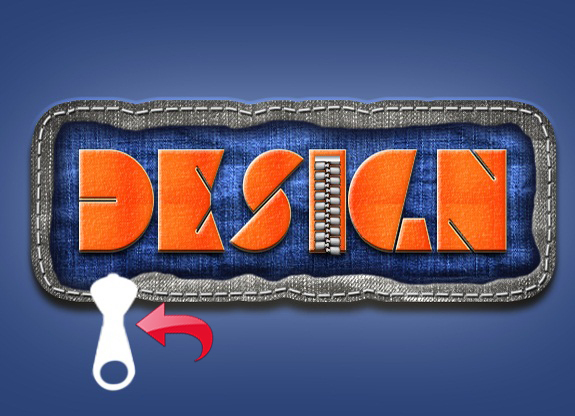 So, today I am going to show you how to create an denim and zipper text effect in Photoshop. We will learn how to use and manipulate some interesting techniques to achieve the desired effect. 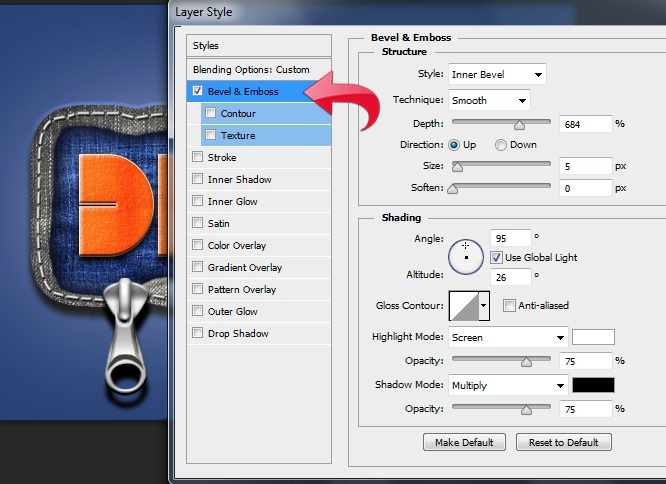 We’ll use a variety of textures and blending options. 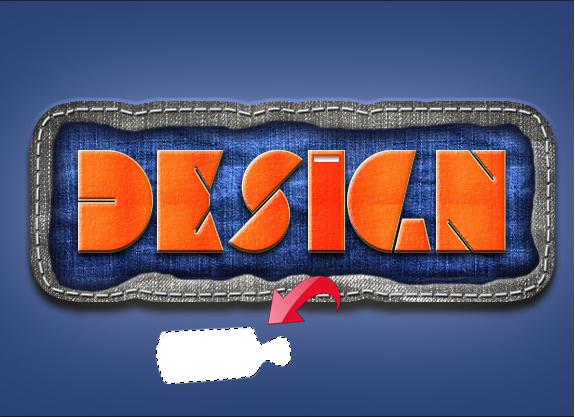 Let’s start designing! 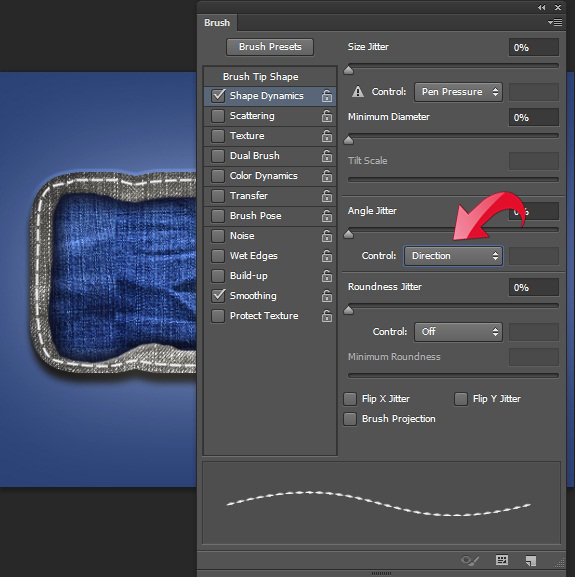 Open Photoshop and create a new file with a 575px width and a 415px height. 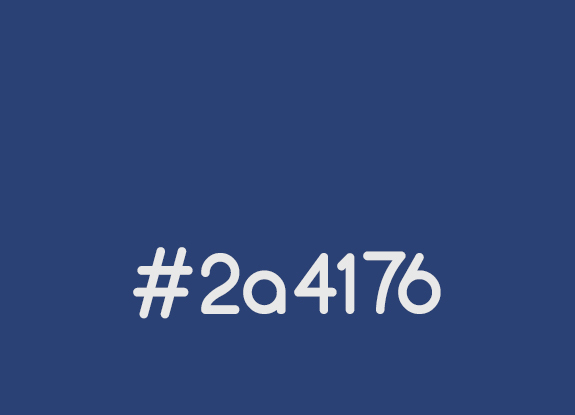 Select the paint bucket tool and fill the background with color #2a4176. 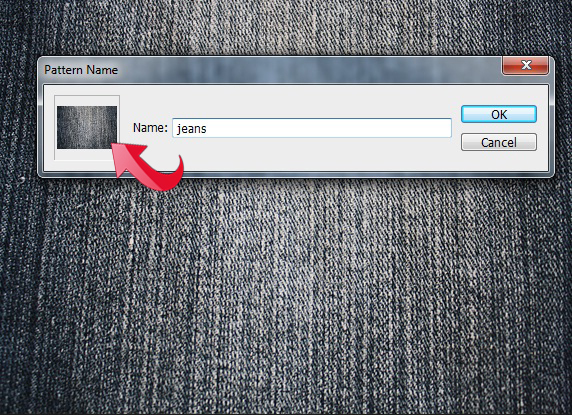 Open the dark jeans texture and paste it into your document. 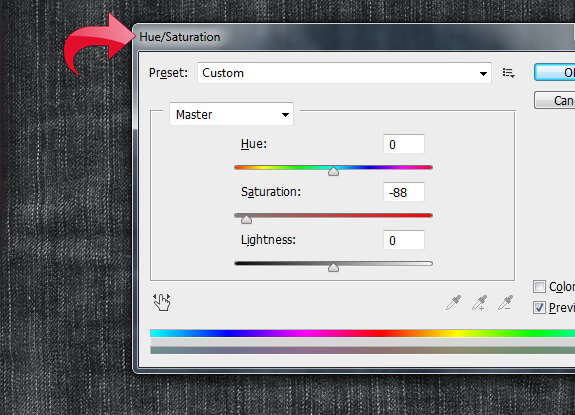 Now, click on “Image” > “Adjustments” > “Hue/Saturation” and make it a bit grey. 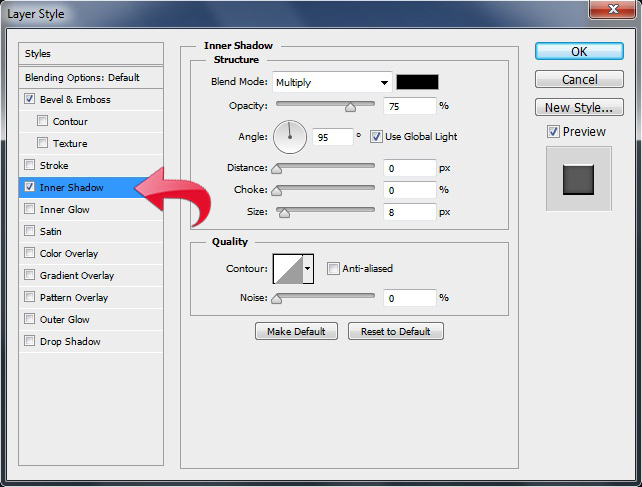 Select the pen tool and draw a rough shape, as shown below. Now, right-click on the path and select “Make Selection.” Then, simply copy and paste the selected area. 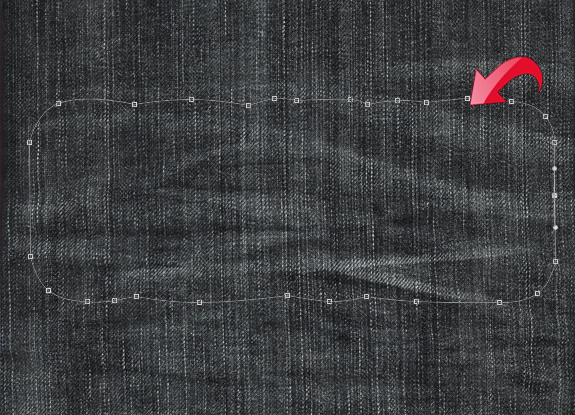 Now we will add some drop shadow and bevel and emboss to our dark jeans layer. 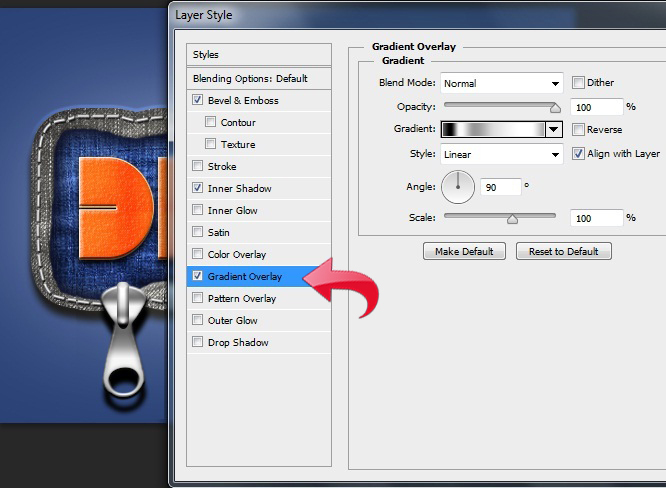 Click on “Layer” > “Layer style” and add a drop shadow using the following settings. Now, add a Bevel & Emboss layer using the settings found below. 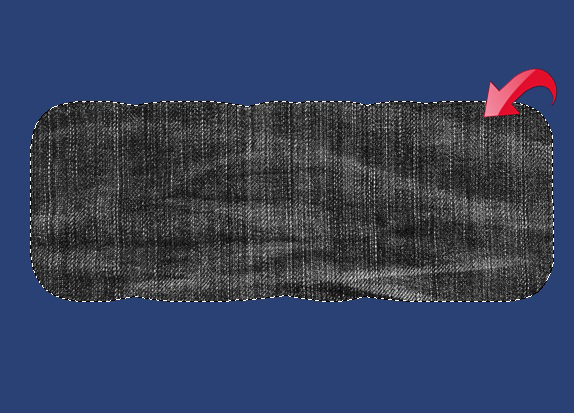 Now, open the blue jeans texture and select it using the pen tool, the same way that we did before. 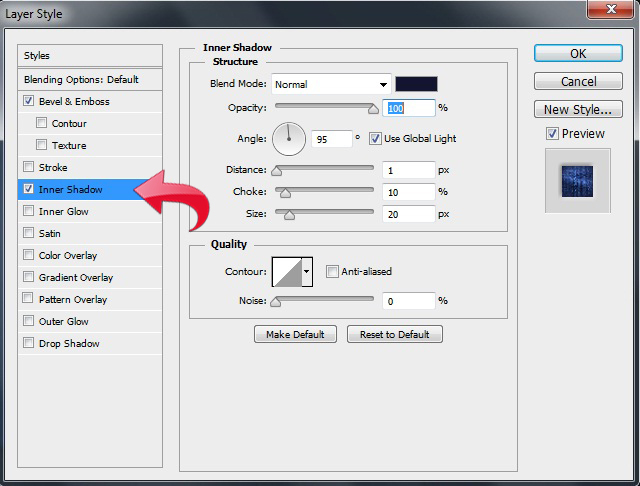 Add an “Inner shadow” using color #131530. Use the following settings. Add an “Inner Glow” with color #000000. 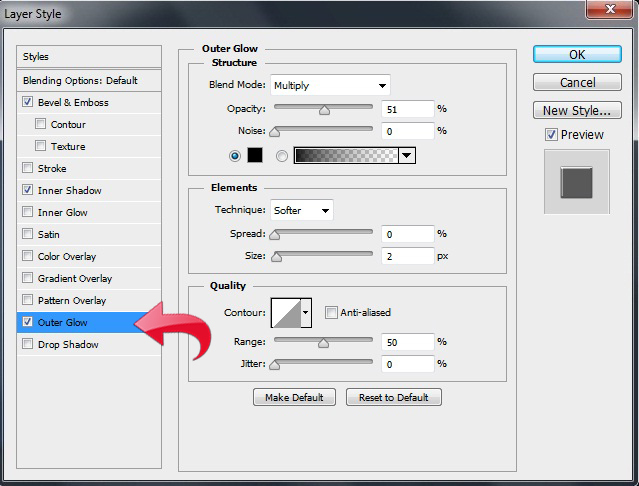 Lastly, add some outer glow with color #ffffff. Now, we’ll add the stitches. 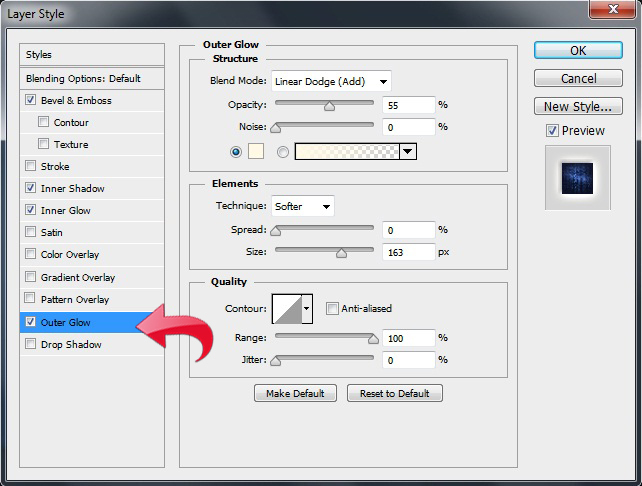 So open up your brush panel and adjust the brush tip size and spacing using the following guidelines. 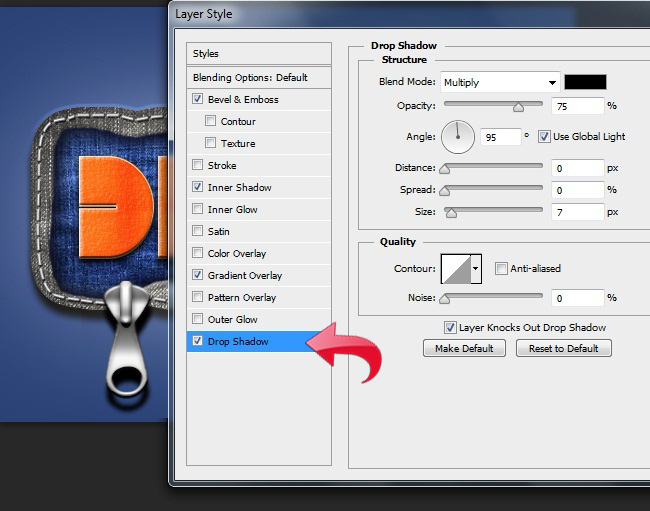 Now, click on “Shape dynamics,” adjust the settings, and use this brush around our blue jeans area. 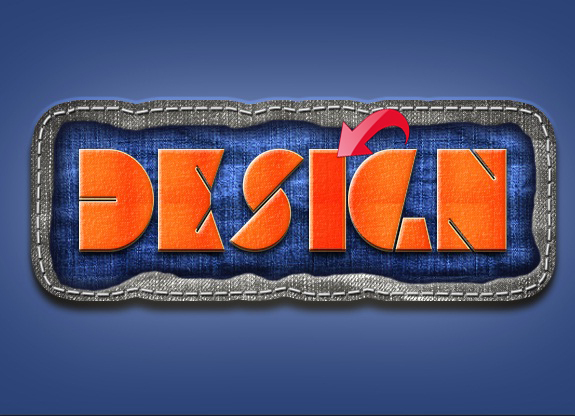 Now, add some drop shadow, inner shadow, outer glow, and bevel & emboss. Below are settings for all four. 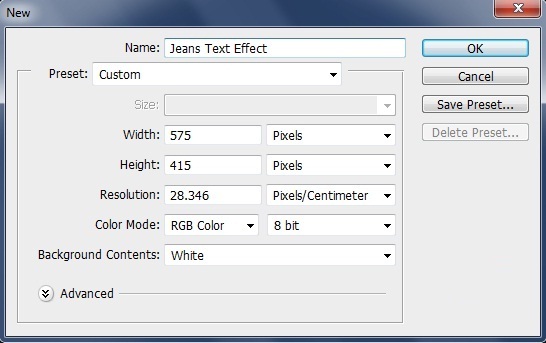 Select the text tool and add the main text in the center using color #ff6c13. Then, add an inner shadow using the following settings. 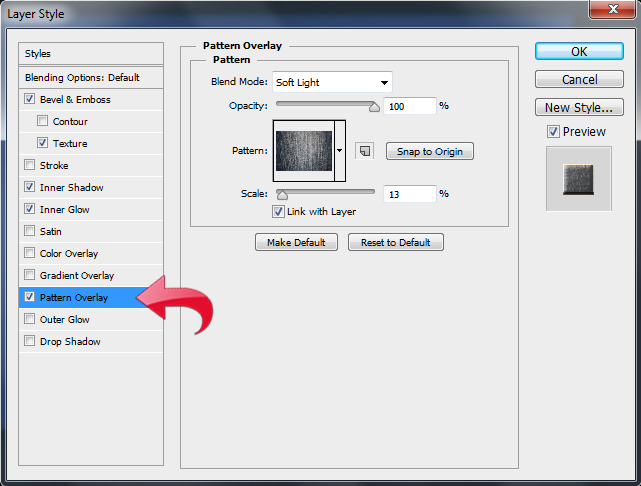 Click on “Pattern Overlay” and add a pattern. 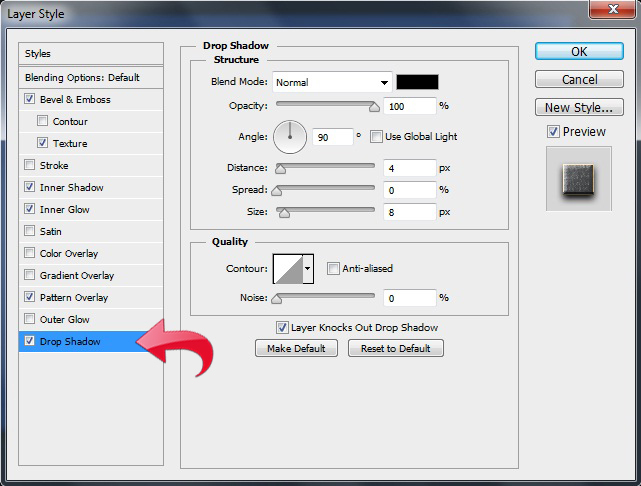 Then, add a drop shadow with the following settings. 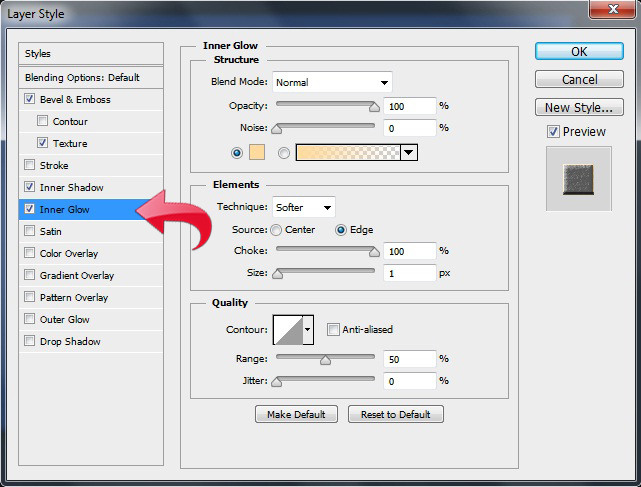 Now select the pen tool to create a rough shape and fill it with color #ffffff. 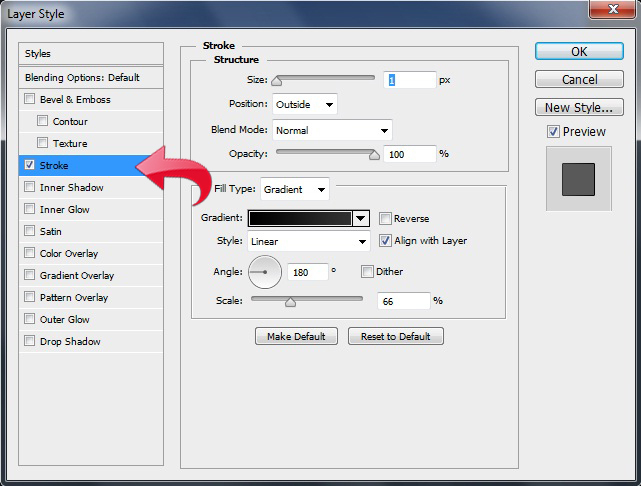 Add a stroke and a gradient using the following values. 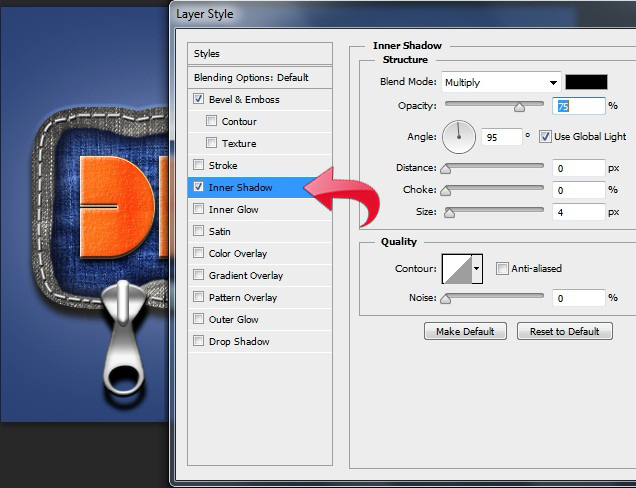 Now, simply copy the above layer as many times as needed to get the zipper effect. Keep the stoke angle at 180 for the left zipper teeth ones and 0 for the right zipper teeth. Let’s start with the handle or hook of our zipper. 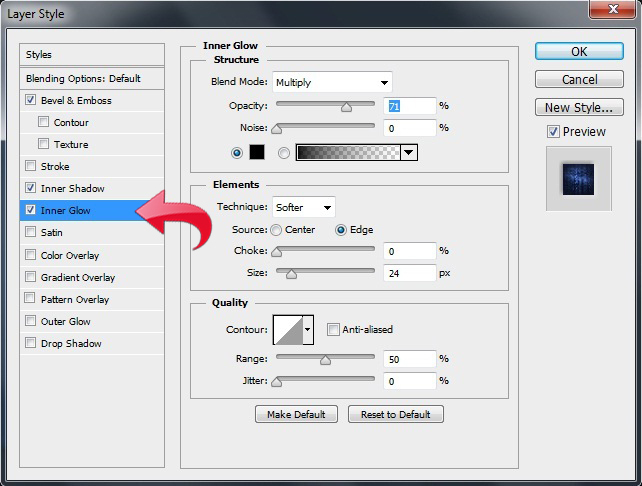 Select the pen tool, create the following basic shape, and fill it with color #ffffff. 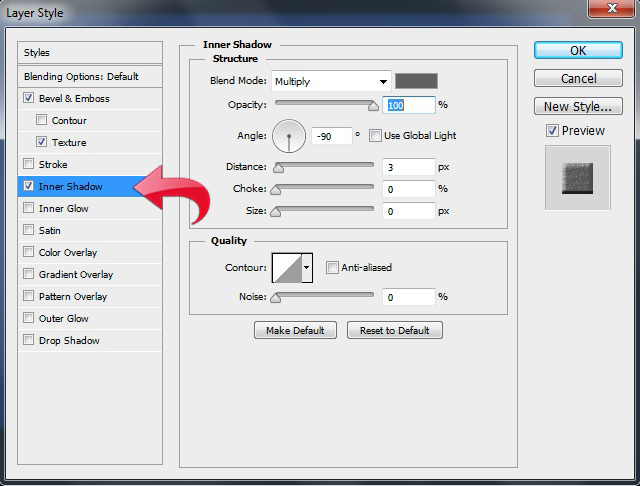 Add an inner shadow using the following settings. 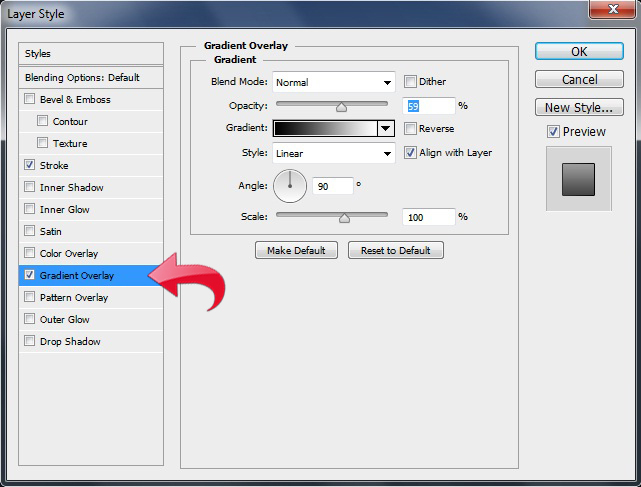 Then, add a gradient overlay. 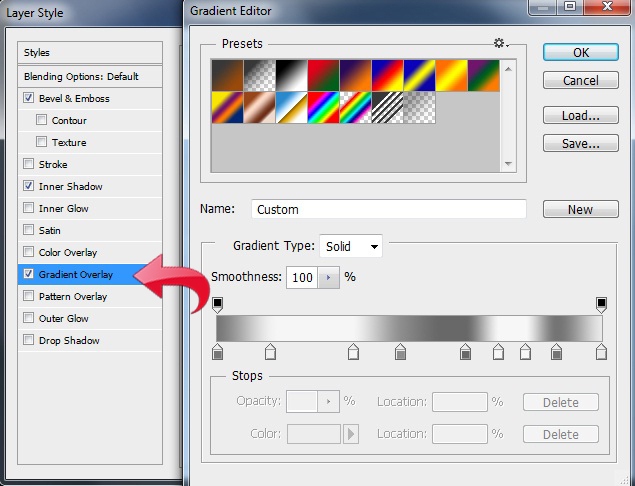 Select the rounded rectangle tool, create a small rectangle in the middle, and fill it with color #ffffff. 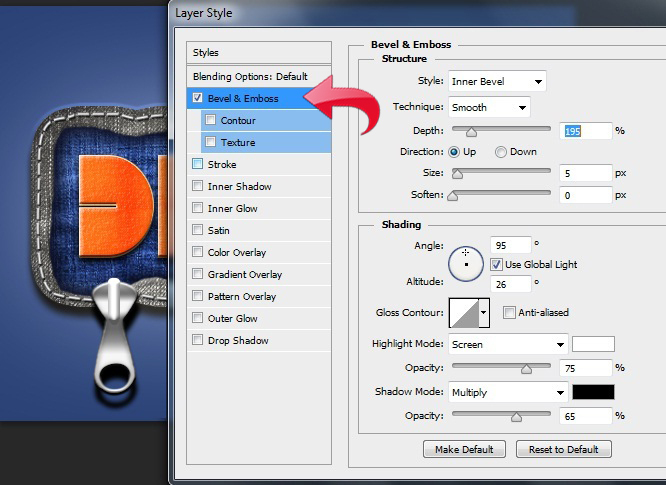 Then, add bevel & emboss, inner shadow, gradient overlay, and drop shadow. 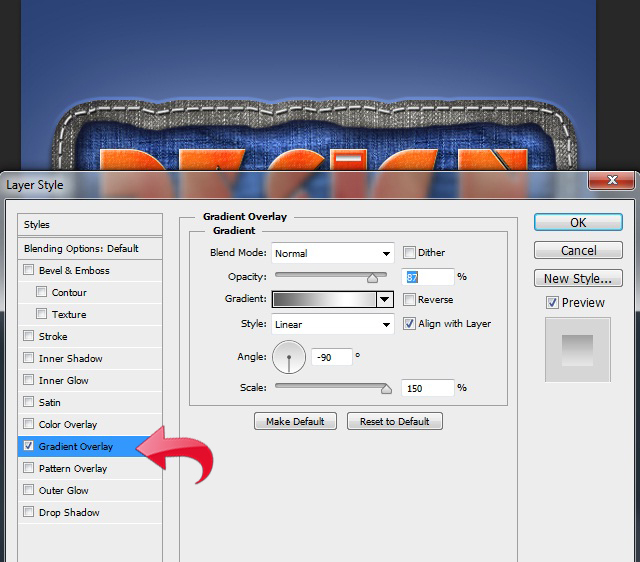 Below are settings for all four layer styles. 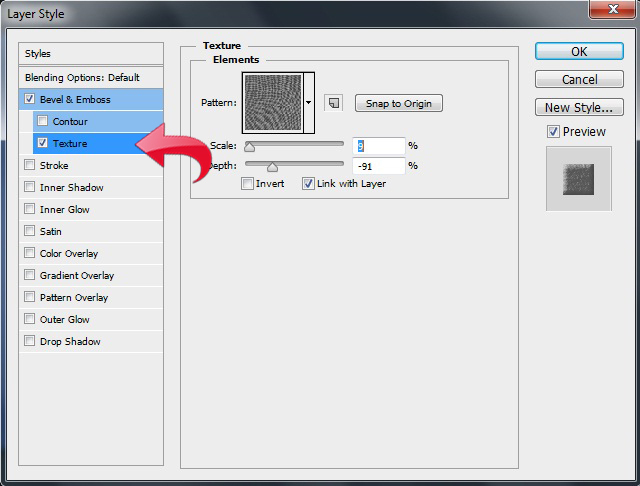 Now, create another shape with the pen tool and fill it with #e8e8e8. 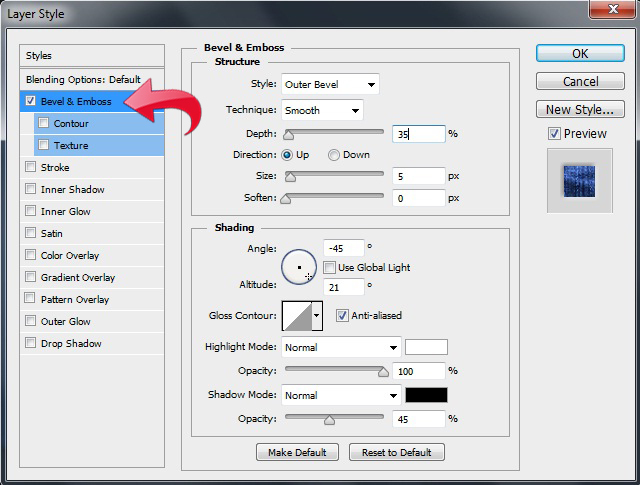 Then, add bevel & emboss and drop shadow using the values shown below. 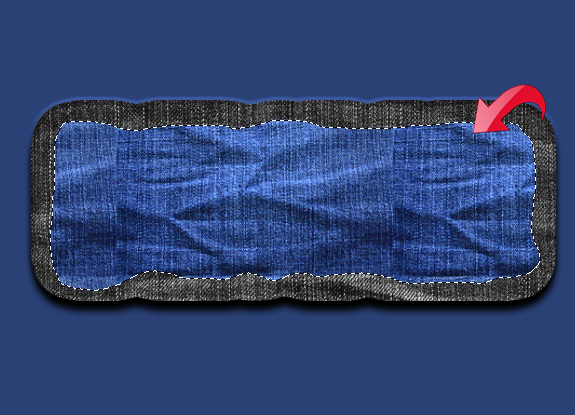 Now, simply re-size the handle and place it where it belongs on the end of the zipper. That’s it. 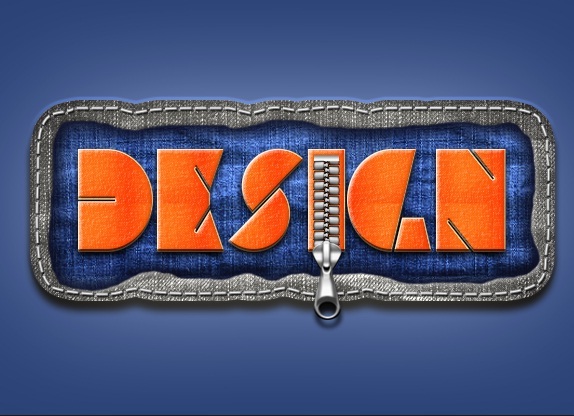 Our denim and zipper text effect is all done. I hope you guys enjoyed it.